The company is renowned as a prominent One Piece Toilet Exporter & Wholesale Supplier in India. The One Piece Toilet, offered by us, is designed as per the latest market trends. 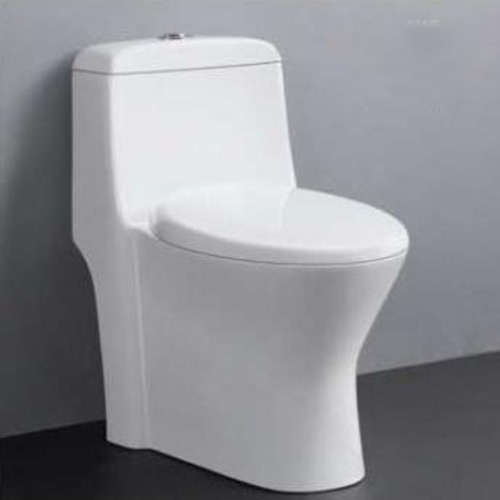 Our One Piece Toilet is ideal for use in homes, hotels, offices, etc. The One Piece Toilet can be availed from us in various designs, colors, and sizes. Aasma International was incepted in the year 2011 in Morbi (Gujarat). The company is being efficiently managed by Mr. Anand Savsani. The company is renowned as a prominent Exporter of Ceramic Tiles, Ceramic Sanitary Ware, Marble and Granite in India. Aasma International has always been one step ahead with novel and creative ideas to decorate the world of people. Based in Gujarat (India), we are termed as an eminent Merchant Exporter, Importer and Wholesale Supplier of Ceramic Tiles, Ceramic Sanitary Ware, Green Marble Tiles, and Rosy Pink Granite Tiles, based in India. The rapid globalization made it easier for us to enlarge our business wings globally. We directly cater to the requirements of various business enterprises around the globe. We are known for our credible network across the globe and we constantly try to improve it and add more valuable intangible assets to our organization. We are a customer-oriented company and thus we strongly believe in providing best quality products at competitive price. Hence, we lay special emphasis on ensuring high quality of products we export. Innovative ideas, best quality products, excellent team work and effective co-ordination amongst the team members provide us with an opportunity to avail strategic advantage over our competitors. Total quality management techniques enable us to exert direct control over our operational issues. We always strive to take ourselves to the upper level and hence, we always keep ourselves updated with changing business environment and craft our business strategies according to it.